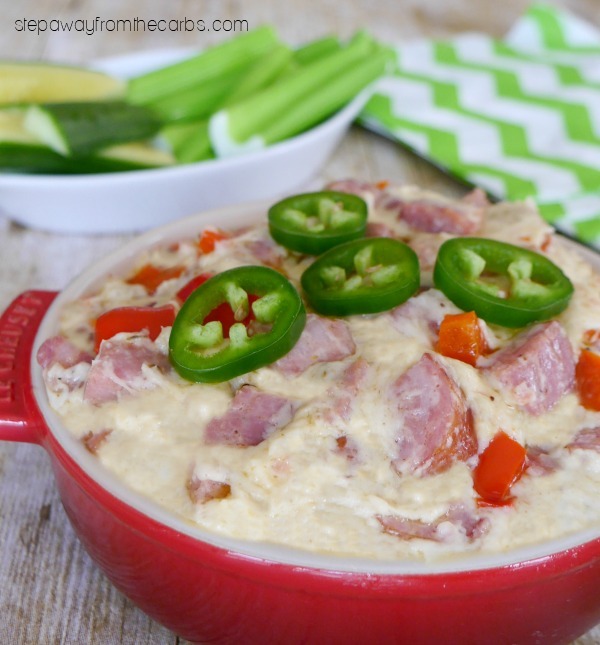 Enjoy some fantastic Cajun flavors with this Andouille Cheese Dip! 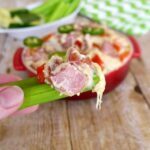 Low carb, keto, and LCHF recipe. This is a sponsored post written by me on behalf of Richard’s. All opinions are my own. Please see my disclosure policy. This post also contains affiliate links, which means that at no extra cost to you I can make a tiny bit of money to help support this blog. Thank you! 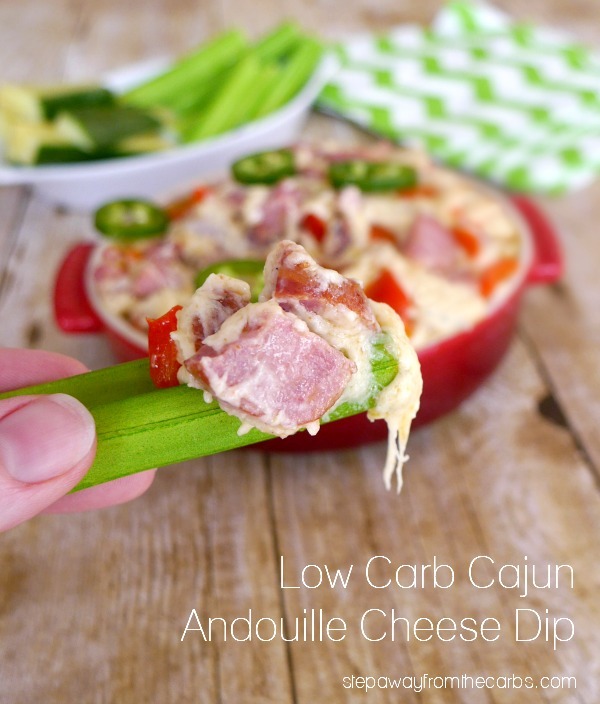 Welcome to the first Cajun recipe on the blog – and wow – it’s a good one! I was recently invited to try out some of the products from Richard’s – an authentic Cajun company started by Lonnie Richard in 1981. He grew up in Louisiana watching Grandma Richard in her grocery story, where he became an expert on everything she prepared – from gumbo to boudin to smoked sausage! So I was super excited to try their Original Andouille Sausage! Right away I checked the ingredients – zero carbs. For me this is a real sign of quality when it comes to sausage products – because it means that there are no cheap fillers! I had some friends coming over and they always seem to have high expectations of low carb culinary delights from me. I love entertaining – and I was really excited about what to make! I decided to make a chunky cheese dip for them – stuffed full of red peppers, cheese, Cajun seasoning and of course – the star – Andouille Sausage! To prepare the dip I cut the sausage into slices, then into quarters. I then added them to a large skillet over a medium heat, and cooked them for a few minutes. I drained off the excess grease, then added diced red pepper, garlic, and Cajun seasoning. Everything was starting to smell fantastic! I then added some heavy cream, cream cheese, and shredded cheese – because – well – if it was going to be true Cajun I wasn’t going to do things by halves! Once everything had melted, I seasoned with salt and pepper (it didn’t much, actually! ), then transferred the Andouille cheese dip to a serving bowl. I garnished it with sliced jalapeños, and provided celery sticks and cucumber sticks for my guests. The flavors were AWESOME! Not bad for a girl from London – but I couldn’t have done it without the fantastic Andouille Sausage! 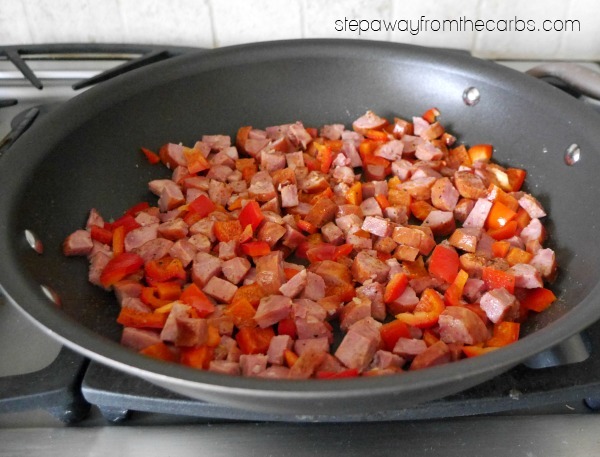 Add the chopped Andouille sausage to a large skillet and place over a medium heat. Cook them for a few minutes, stirring regularly. Drain off the excess grease, then add the red pepper, garlic, and Cajun seasoning. Continue cooking for another 5 minutes. Then add the heavy cream, cream cheese, and shredded cheese and stir well. Once everything has melted, season with salt and pepper, and transfer the Andouille cheese dip to a serving bowl. Garnish it with sliced jalapeños, and provided celery sticks and cucumber sticks for dipping. 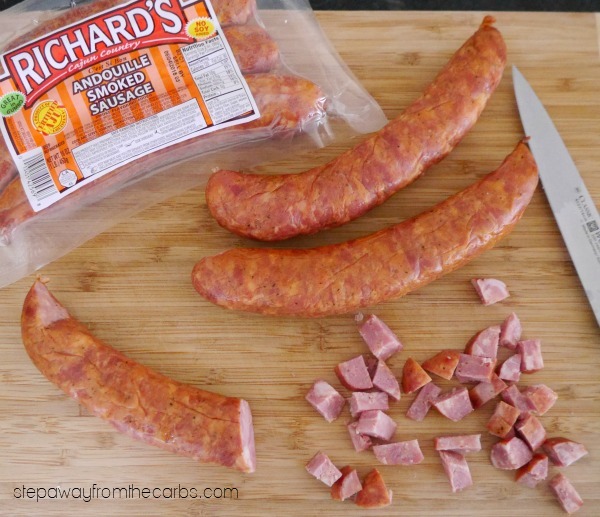 Find Richard’s products at these retail locations – or follow them on Facebook, Instagram or YouTube for some awesome Cajun recipes and inspiration!